UltimateTax 1040 + Corporate is the #1 choice for tax professionals because everything is included. Unlimited 1040 and Corporate returns including all states. Smart Diagnostics, checking thousands of calculations and reviewing returns for errors. Giving you confidence the return is ready to e-file. Fix pricing to $828 annually. Buy UltimateTax 1040 + Corporate Today! Try UltimateTax 1040 + Corporate Free Today! Leverage the full potential of your tax business when you choose UltimateTax 1040 + Corporate. 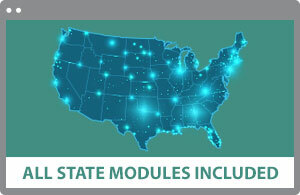 With it you can serve your clients who need to file individual or specialty returns in any state. You will also benefit from unlimited e-filing of current year returns at no extra charge. 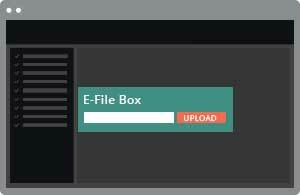 You can file unlimited business returns with an affordable add-on module. This professional tax software also includes powerful tools to improve your workflow and help you prepare more returns with increased accuracy. Prepare accurate returns in just minutes with key efficiency tools that carry forward the prior year, auto populate and run compliance diagnostics. 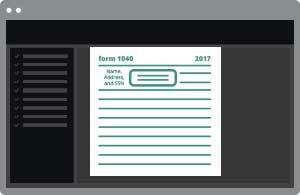 The Interview Mode tool simplifies data entry for 1040 returns, allowing anyone in your office to handle the task. This ensures you can focus on completing returns efficiently. Finally! A tax program that makes life a little easier. 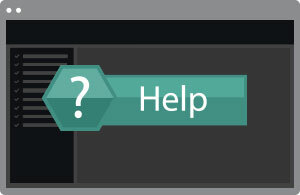 The custom launch screen puts the most common items front and center on the dashboard. This speeds up the workflow and reduces learning curve. 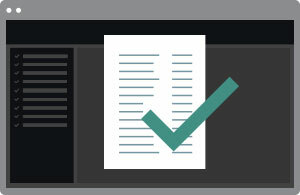 Has your computer ever died during tax season? Never fear! If you filed the return then it can be restored! Call the support office and you will be back up running! Convert your data from your current tax program to UltimateTax. You can save yourself time and worry by using our team of seasoned professionals do the conversion, FREE! 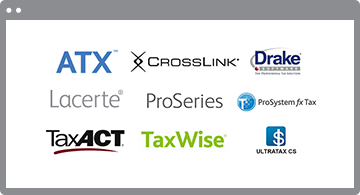 Having UltimateTax as your professional tax software providers means great service. You will have a great experience from the time you sign up to the end of each season. Below are some great things you will get from UltimateTax each season. Thank you for your help. I have always found the support staff to be most competent, professional and friendly." My rep, was excellent. He showed great patience with me. He was able to work through all my issues with the least amount of delay. Tell me thanks"
Your staff is always on top of things"
I am very satisfied with the support I received. The person I talked to downloaded my program and set it up for me. I have always had good help since I have been using the program for the past few years. Keep up the good work!" Good customer service. I got a solution from them that made my day. Thanks." Excellent, walked me through what I needed and completed it in an extremely timely manner. Get 1040 + Corporate Free! 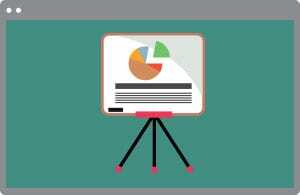 Many professional tax preparers leverage the opportunity for additional revenue through bank products. 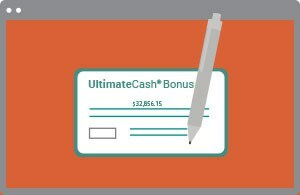 UltimateTax provides the best negotiated financially rewarding bank rebates in the industry. Your volume determines your rebate. Add fees to the Service Bureau Fee. But you have to have to sign a contract for your volume. The signed contract benefits you for your additional fees and protects your income stream. Access to the last 10 years for your online tax software. Prior year software to the online version can be purchased at a discounted price. Prepare W-2s, W-3s and 1099s and 1098s for your current and new customers. if added to any current year software purchase the W2/1099 package is just $99. A great thing about purchasing from UltimateTax is that you can choose to have the Web version or the desktop installed version. Same price for either package. This gives you that access to be a remote tax professional. If you prepare taxes in multiple places, then this is the version for you. You get access to all state versions without having to request the state version. Plus never update your software again. The web version is always up to date! If you need to prepare returns with our corporate package you would have to use our desktop installed version. English and Spanish versions are available. Prepare unlimited returns and store on your own network. Unlimited workstations depending on your own computer network and needs. Fast, prepare basic returns in minutes. Desktop installed versions are great so you can keep access to all of your clients past years easily accessible. With the quick help of our professional support we can assist you in setting up your network.